There are strange things happening in the world of 100% Orange Juice. Reports are coming in of a hostile takeover by a mysterious creature some have taken to calling Rad Poppo. 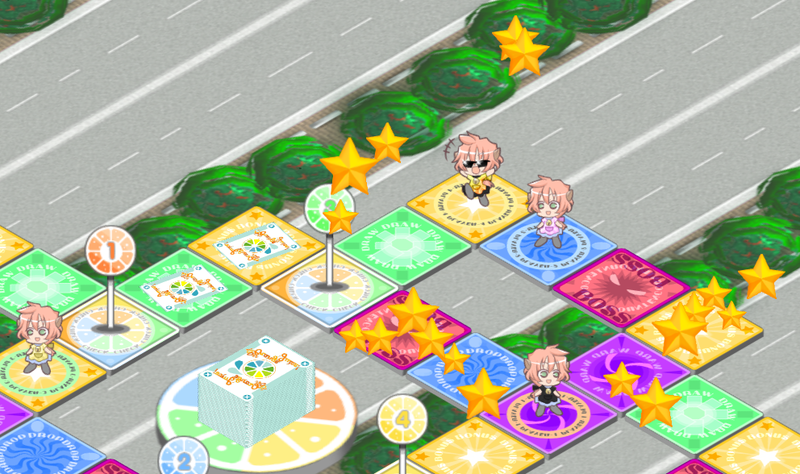 She has rallied her legions of Poppo to steal every star in the world! It’s still not too late to… join her cause! According to reliable sources, Poppo’s takeover will last until 24:00 EST on Monday, August 11th. Her loyal followers are granted the signature item of Rad Poppo that will be the envy of every other Poppo in the world. Don’t miss out! ← 1.6.3: All Fields Weekend!